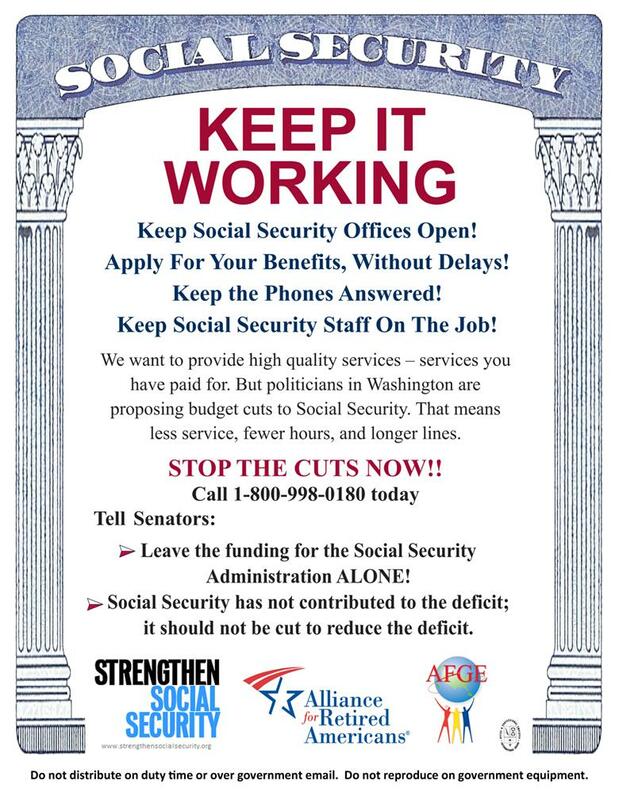 Help protect Social Security on March 2nd! Budget cuts proposed by House Republicans will gut funding to the SSA – delaying benefits, decreasing efficiency and reducing fraud investigations. Join us on March 2nd, 2011 to protect and preserve Social Security!